We plan, develop and deliver unique environments of cultural and commercial value in China. Through our dedicated research and rich local expertise, we enable people to exist in sustainable environments that supports business growth and personal development. In turn, we gainfully improve our clients’ property assets as well as the lifestyles of the end users effectively. We focus on cultural and complex commercial real estate development and provide the overall services for commercial real estate development consulting and implementation. Projects including establishing new shopping malls, renovation and construction office buildings and creative lifestyle park establishment. Services output including but not limited to, prephase planning, product research and development, design & project management, leasing & marketing management, human resources management and operation management within the whole cycle of real estate management and advisory services. We aim to lead property innovation in China, creating environments that inspire, educate and enrich the lives of people. Through creative thinking and our unique cultural and customer centred strategic model, we seek to uplift China's quality of lifestyle. (1) We provide professional commercial consulting and operational management services including prophase planning, R&D (Design and project management), leasing & marketing management, human resources management and operation & property management. (2) We also provide BOMA consulting services for our clients to register BOMA certificate and assist our clients to meet the BOMA international standards and recognitions by SOP planning and flows setup; recommend office building evaluation BAR standards and methodology on meeting the BOMA COE standards. Our team has more than 20 years of professional commercial real estate development, from planning, product development, design management, project management, leasing management, marketing and operation management experiences, we focus on the consumers and the market practices and create a new and special unique concept of “work, play, live" to integrate into the customers' lifestyle and through the implementation process, we develop a well-established operational system for our commercial projects. 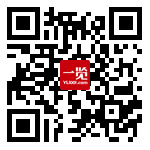 We provide professional services and cooperate with different city/state government parties and also multi-national property& funding firms such as Kingwai Group，China Everbright Limited, China Oceanwide Group, PAG, Morgan Stanley, Angelo Gordon, Go High Capital, Chongqing Yufu Assets Management Group Co. Ltd、CITIC Group, Bai Lian Group，Alibaba Group, Nanjing Qinhuai District Government etc. Our projects cover a variety of functions and areas at different cities in China, such as Shanghai Baoshan area Bauhinias Valley commercial project, Shanghai Song Hong Road commercial project, Shanghai Oceanwide Jingan commercial project, Shanghai Bridge 8 Phase 4, Shanghai Go high Building, Shanghai Sihang warehouse, Shanghai Gubei lifestyle, Chongqing commercial project, Nanjing Confusion Temple, Wuhan Jinhe Lifestyle, Red T, Hangzhou commercial project etc. 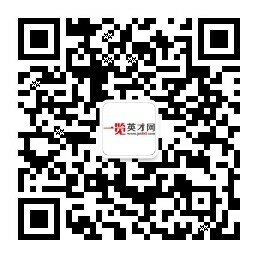 时尚创建集团有限公司 Lifestyle Creating Holding Ltd. If you are interested of any positions, please send your application with full resume, quoting the reference number, your present and expected salary by post or email to the Human Resources & Administration Department. * All information you provided must be true, accurate and valid; otherwise, we will have the right to decline your application or cancel your employed qualification. * All information provided by applicants will be used strictly for recruitment purposes only and they will be destroyed after 6 months. 市场推广主管——商业地产（上海）	职位编号：SH/HRA/JD001 发布日期：2018/9/3 部门：	市场部	汇报对象：市场推广总监 项目： 上海区	人员配置：1人 职责概述： 协助市场推广总..
店长 直属主管：运营总监 所属项目：Oceanspot	所属部门：营运部—上海	职级：经理级 薪金标准：9,000-12,000/月	填写日期：2018/9/3 核 准 人：王瑶 职位概要： 负责Oceanspot业务上海..
设计管理经理（重庆和上海） 职位编号: SH/HRA/JD010 发布日期:2018/9/3 部门：设计管理 汇报对象： 总监 项目：上海地区 人员配置： 重庆1人上海2人 职责概述： 协助设计管理总监商业项目总体..
法务经理 职位编号：SH/HRA/JD007 发布日期：2018/9/3 部门：招商部	汇报对象：总监 项目：上海地区	人员配置： 1人 职责概述： 负责集团各类合同和商业项目租赁合同、招商谈判、租户..